City residents can now officially cast their lines off the Oshawa Pier. 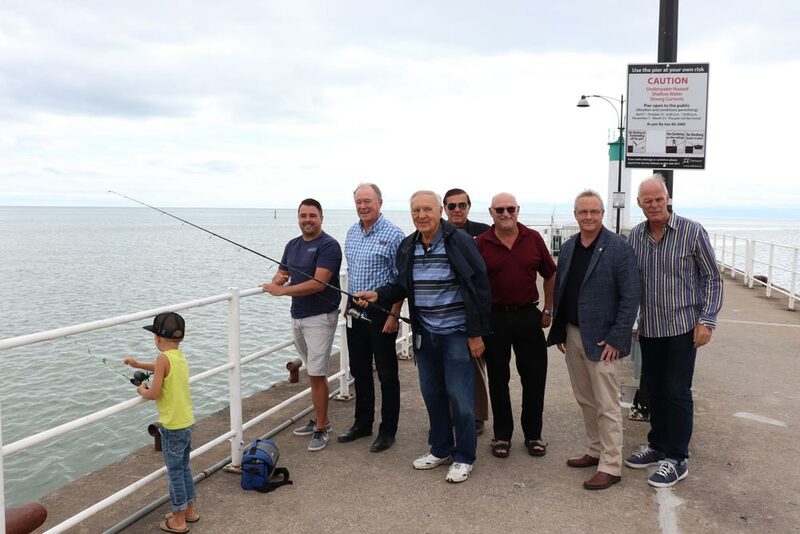 An agreement between the city and the Oshawa Port Authority (OPA) allowing recreational fishing off the pier came into affect on Aug. 27. Although fishing enthusiasts were a common sight at the waterfront, an agreement made between the city and the OPA in 1986 actually banned the practice. Earlier this month, a group of fisherman had confronted city council after receiving tickets for fishing off the pier during winter months. Council eventually agreed, and at the end of June, requested the OPA amend the existing agreement. Diving, swimming and dock of boats to the pier are still not permitting. A group of councillors, including Mayor John Henry, joined together at the pier of Aug. 30 to mark the changes. It is important to note that fishing access is regulated by the city’s parks bylaws, meaning fishing will be permitting at the pier between 6 a.m. and 10 p.m. through Oct. 31. Commissioner of community services Ron Diskey says the city may look at extending that depending on weather in November and December. “Well be looking at practices that may allow fishing when weather conditions are suitable,” he says.